The Edit Cluster dialog appears. 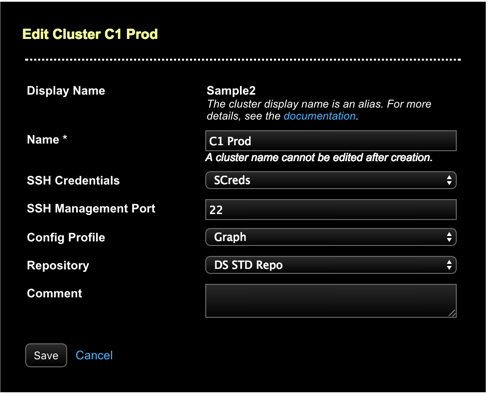 Make any changes, such as selecting a new Config Profile to apply. If the cluster has an alias, the Display Name appears as a read-only field above the Cluster Name. To edit or remove the alias, see Changing the display name of a cluster.